Free Layout and Design Software Online [for Print & Digital] . ', failHtml: "
Lucidpress can help you create beautiful, on-brand content in no time. Lucidpress removes the learning curve of traditional branding & design software. Our easy-to-use page layout & design software makes every aspect of the design process more intuitive. You can easily lay out text, photos, shapes, & videos for professional results that are sure to impress. 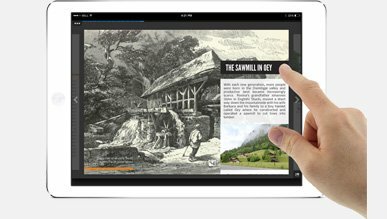 Lucidpress integrates with your favorite tools to put your content at your fingertips. 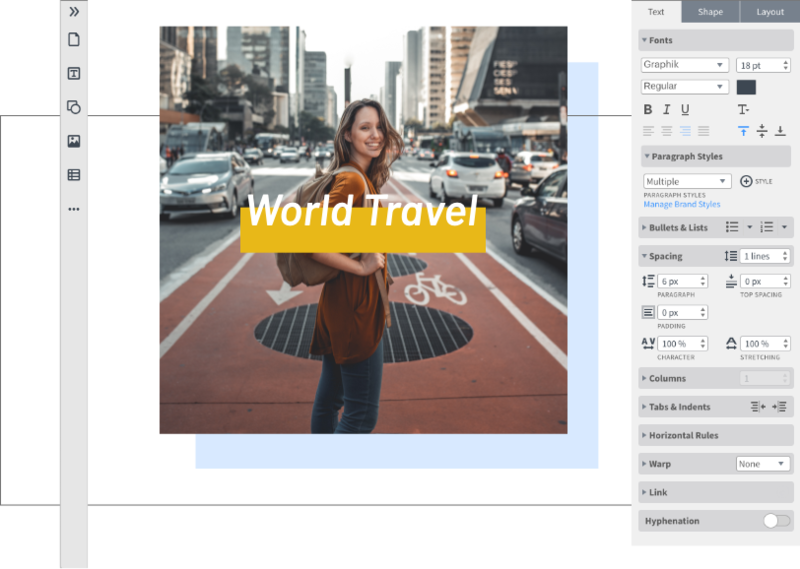 Import from Adobe InDesign using our Beta import feature, transfer text from Google Docs, or upload photos from Facebook, Dropbox and more. 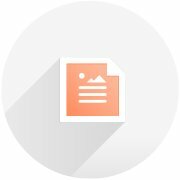 Easily export your Lucidpress creation as a PDF, JPG or PNG. You can also push it to social media, embed it on your own webpage, or order high-quality prints directly from the editor. 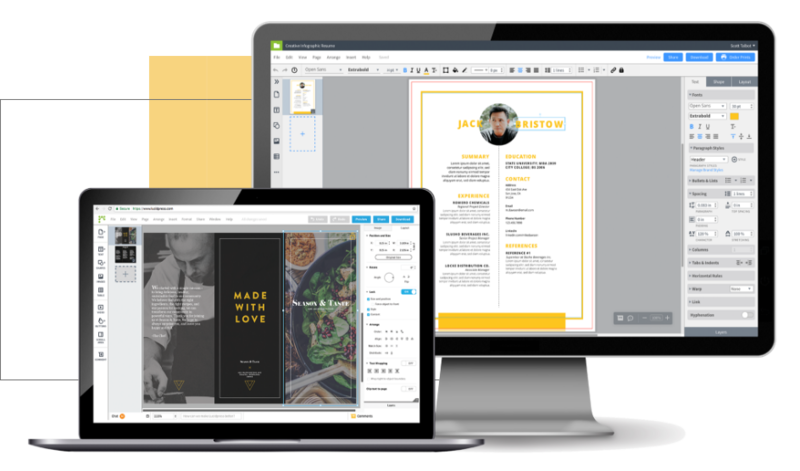 Jump-start your project with an extensive library of print-ready and digital templates. 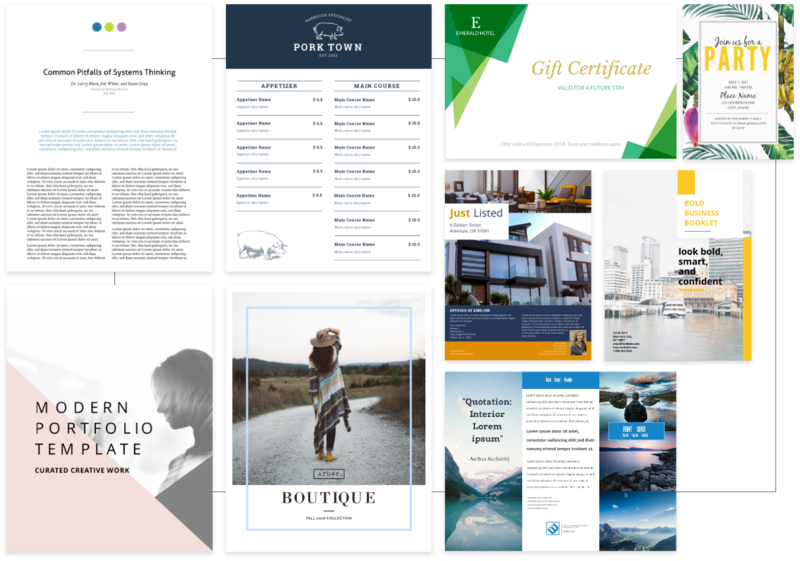 Our ever-growing selection of print templates will help your content shine. Whether you need an expertly designed product brochure or an all-new business card, Lucidpress can help. 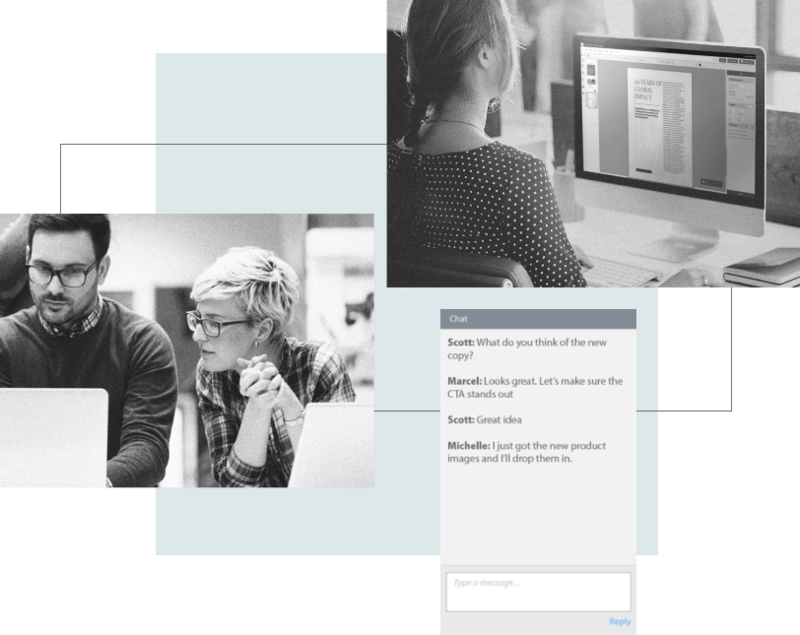 Engaging your audience is easier than ever with our interactive templates. Videos, slideshows, scrolling areas, and clickable buttons create a truly immersive experience that makes your content pop. From a team of 2 to an organization of 200,000, Lucidpress is engineered to meet your needs and grow with your business. Receive and implement feedback all in one place—or let your colleagues make changes themselves. With responsive comments and live chat, you can stop scribbling notes on printed drafts. When you invite others to your documents, you have the flexibility to customize permission levels. One click lets you distinguish between those you want editing, commenting or just viewing. Robust revision history tracks the development of your projects. We’ll show you who changes what, when—and if you don’t see the why, it’s easy to reverse changes. Analytics tracks key metrics about your published materials—how many people are clicking on a document, where they’re located, and which platforms they’re using to re-share the content. Visualize these insights to make smarter decisions. Spend less and get more with Lucidpress. 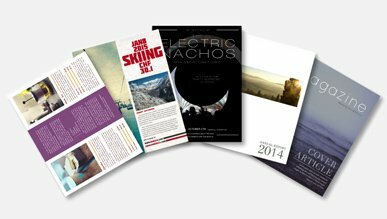 Lucidpress offers practicality and savings unmatched by Adobe InDesign—from an easy user interface to lower subscription costs. Now you can outfit your entire department with Lucidpress without a second thought. Share designs digitally via custom link, social media, or embed on your webpage with just a few clicks. Or, if print is what you’re after, our convenient Print & Ship service will deliver perfectly printed documents straight to your home or office at just the right price. 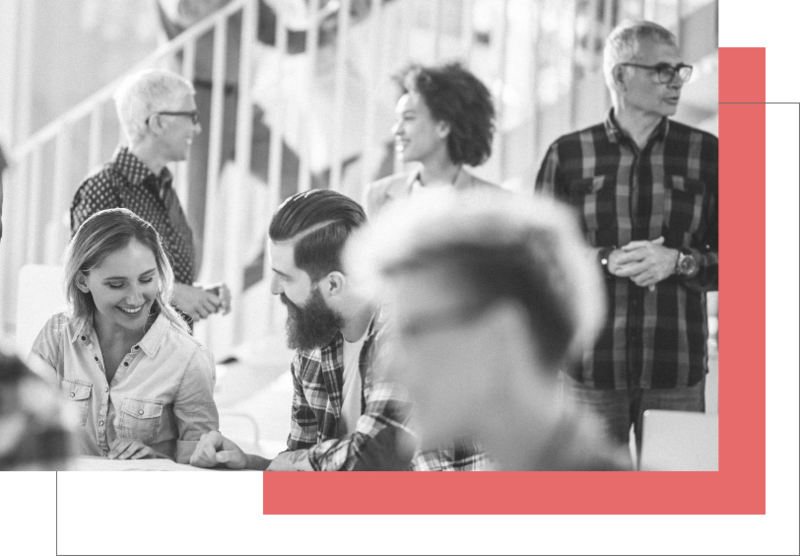 Lucidpress offers advanced business features that make it easy for your entire organization to stay on-brand. Forget tracking down the latest logos and color codes. Save and update Brand Assets in your account so they’re always close at hand when you’re designing. Build brand-compliant templates, then lock down important images, text & colors. Now anyone can update the template without going off-brand or piling extra work on busy designers. Save time by using smart fields to pre-fill templates with your information. Perfect for cranking out business cards, flyers, brochures & other personalized marketing materials. Stop rogue content in its tracks with document review & approval. Users can make edits and suggest changes, but you’ll always have the final say before a document can be shared or published. Your data is safe with us. All data is transferred to Lucidpress servers using Secure Socket Layer (SSL) with AES-256 bit encryption. 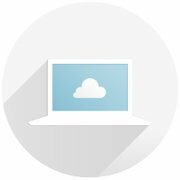 We securely store and frequently rotate encryption keys to further increase site security. We store every version of your projects and automatically save your changes. Your documents are backed up hourly to multiple data centers—no more fretting about misplaced files or hard drive failures. Lucidpress is hosted from multiple secure data centers. We partner with industry leaders like Amazon Web Services to provide you with top-of-the-line storage and security. We’re here for you. 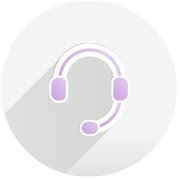 Drop by the forums, check out our tutorials, or send us an email, and we’ll get your questions answered right away. Our goal is to keep you working productively and efficiently. You don’t have to be a design genius to put together something great. Our intuitive drag-and-drop editor puts the power in your hands. Choose a template from the gallery or start with a blank canvas. Play with colors, fonts, shapes & images to bring your visual ideas to life. Publish your designs online, embed in emails or webpages, or push to social media. Download your designs as print-ready files, or order directly from our print shop. Our templates are a springboard for your creativity. Each and every element can be customized, dragged & dropped to your satisfaction. I consider myself a creative, so I don’t like to do everything cookie cutter. 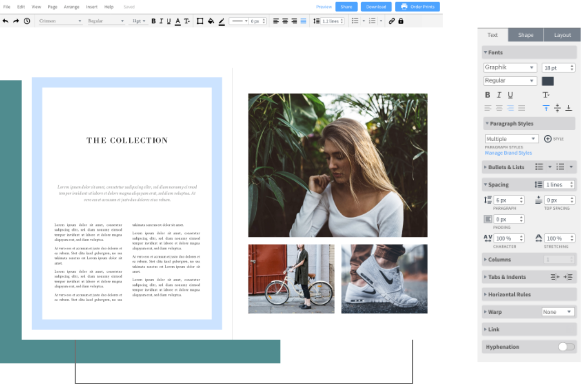 I really love Lucidpress because I’m able to play around with size, composition and style of templates — really make it my own. Before, I could only fit a certain amount of text in the old system, and now I have more flexibility to create something that really jumps out. Our template gallery features over 350 professionally designed templates. Choose from categories like brochures, flyers, business cards, social media & more. Work together in real-time to create & edit designs—just like Google Docs. Need more communication? Use comments & chat to discuss changes and suggest edits. For the first time, we could have many different users working in the same environment — and not just the same environment, but the same page actually. That was a total revolution. It’s your design—share it however you want. Publish your digital designs online, or embed them in webpages & emails. Download your print designs, or order prints directly from us. Looking for more brand controls? When your team is powered by Lucidpress, you can set up lockable templates to control your organization’s brand. All the assets they need are right at their fingertips—no more stretched logos, no more stressed designers.